Are you the future of motorsports? Drivers found, developed and delivered. This program shows how aspiring young athletes make their way up through the ranks of auto racing. If you believe you have what it takes to become the next champion, buckle up and hold on because we're going to blow the doors off the racing industry. 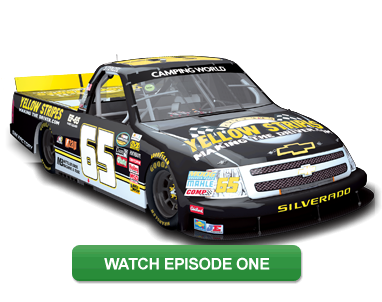 "Yellow Stripes: Making the Driver" is a television series, taking our viewers behind the scenes as we develop the next generation of race car drivers. This program will also share important information on the common mistakes young drivers (and their families) often make, the things they need to look out for in the real world of motorsports.